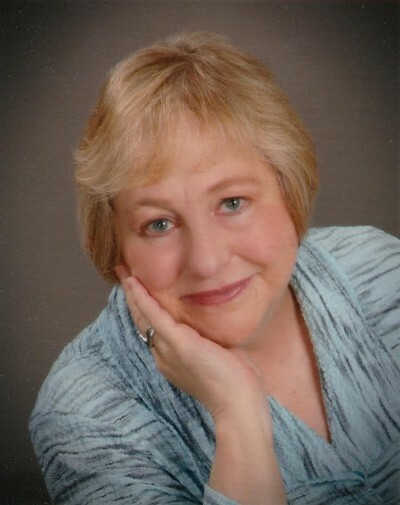 Debbie Hasenkrug Bowen, age 65 of Bellevue, WA, passed away on Saturday, July 28th, at the University of Washington Medical Center. She had been fighting Acute Myelogenous Leukemia since November of 2017, and succumbed to a secondary infection she was unable to overcome. Funeral services will be Saturday, August 18th, 2018, at St. Madeleine Sophie Parish at 11:00. Reception to follow. Born on June 21st, 1952 in Great Falls, Montana, Debbie attended Our Lady of Lourdes Catholic School, and Central Catholic High School. During her summers growing up she could be found working at the kiddie rides at Giant Springs, which was a family business with one of her fathers friends. When the kiddie rides shut down, her father purchased the Snack Shack which was also located at Giant Springs, and she worked there until she went off to college. She attended the National College of Business in Rapid City, South Dakota where she met her loving husband David Bowen. They were married October 9, 1971, and made their home in Rapid City where she worked for about a year at a Chevrolet dealership. Dave's job took them to Laurel, Maryland, where their first daughter Heather was born. Eventually they made it back to Montana, living in Anaconda, Great Falls, and Butte. Their second daughter Jayme was born in Butte. Jobs then took their family to Washington state where they first lived in Renton. They soon moved to Bellevue where they established their home, living there for 30+ years. During that time St. Madeleine Sophie Parish has been their community. Debbie was extremely active in the church, working with the youth group, refugee committee, marriage encounter, and small faith groups. She also shared her beautiful soprano voice by singing in the church choir. Singing was one of her biggest joys. Debbie also belonged to a women's Dominos group, and loved playing the game. Debbie spent most of her career working in the insurance industry, first in health insurance and then as a Medicare Insurance Broker. Debbie was well loved. She was everyone's 2nd mom, as well as best friend. Their home was always open to family and those in need. They also became part of the Student Exchange program and invited a German high school student to live with them for his senior year. Daniel became a surrogate son and his parents and family, dear friends. She had a love of cooking and entertaining, and she could go and look in her fridge and come up with a fantastic meal on the spur of the moment. Their home was often the location of large Thanksgiving dinners, not that they weren't all like Thanksgiving anyway. She also had a love of nature and loved the opportunity to go on an adventure boating, rafting, or hiking. Travel was also one of Debbie's passions, and together with Dave they traveled extensively throughout the United States, and also visited France, Germany, Italy, Amsterdam, Japan, Hawaii, and Alaska. Her love of animals was unsurpassed. She grew up with all sorts of pets, and during their lifetime together, Debbie and Dave always had at least 1 dog and several cats, and all of them were either strays or rescue animals. Her dog Whiskey is thoroughly devoted, and not going to understand where his angel mom has gone. Debbie was preceded in death by her father, Harold Hasenkrug. Survivors include: her mother Mary Hasenkrug, husband Dave, daughters Heather and Jayme, brothers Kim (Marie Anne), Rick (Deb), sisters Kathy Forsman (Ed), Linda Dykeman (Bob), and 8 nieces and nephews from her side of the family. She also has a very large extended family. St. Madeleine Sophie Parish - any donations made in remembrance of Debbie will be funneled toward the refugee ministry that she was involved in and passionate about. Debbie was a nature lover and loved forests and plants and greenery, hence her loving living in the PacNW for several decades. We’ve decided to go with that theme and be more environmentally conscious by inviting people to consider ordering a live potted plant (indoor or outdoor) so we can create a living forest for her memorial. These plants will then be given to family members and / or friends and planted in Debbie and Dave’s or Heather’s yards after the service. Some ideas are: Japanese maples, conifers, bamboo, ornamental grasses, ferns, hostas, etc., or house plants. Debbie also loved flowers and although altar flowers for the service have already been arranged by the family, you are welcome to choose to send flowers if that’s important to you. We have space at the church both at the entrance and reception area for arrangements. Debbie was very allergic to most lilies and alstroemerias (not calla lilies), and everything in the chrysanthemum family (daisies, etc).